In line with the Qatari government's National Vision Strategy 2030, Global ICT leader Huawei shared its vision for future cities during the Arab Future Cities Summit Qatar that was held in Doha on April 11 - 12, 2017. Held under the theme 'Advanced Technology Transforming Qatar's Future', the Summit highlighted the impact of technology on tomorrow's urban developments, with a particular focus on Qatar. 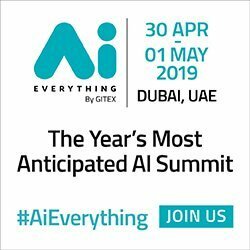 The two-day event saw the participation of global and regional industry leaders, including Huawei, who discussed the various aspects of future cities such as connected transport, smart stadiums, cyber security, airport technology, security, government technology and smart economic zones. "Cities around the world are evolving when it comes to providing services and safety to ever-growing populations," said Zong Yan, CEO of Huawei Qatar. "Huawei continues to invest heavily in innovation for these future cities, spending annually on research and development to a tune of USD 11 billion in 2016. Huawei believes in having an agile and innovative ICT platform that relies on ROADS (Real Time, On Demand, Always Online, DIY, Social) in order to provide all stakeholders with solutions needed in establishing Safe and Smart City capability under one umbrella." 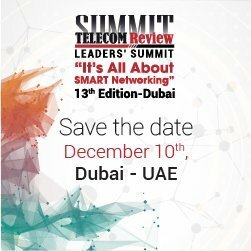 "Smart City development extends over 3 mega waves, which are technology trends, service portfolio and digital ROADS," said Safder Nazir, VP of Huawei Digital Industries Middle East, during his keynote speech. "The role of government is to build an open and smart platform to enable massive innovation to enrich the quality of citizen life. To deploy and maintain a comprehensive ecosystem, governments need to aggregate the diversified strengths of its ICT vendors which is critical to future city success, while overcoming the main challenge of ensuring integration." Huawei also showcased its next-generation technologies during the event including Smart City Platform, Safe City (Intelligent Operation Center), Intelligent Video Surveillance and Intelligent Transportation (Fleet Management, NBI and OceanConnect), which illustrated Huawei's expertise in defining a complete Smart City framework, as well as its on ground implementation based on Qatar's unique smart city requirements. Huawei's extensive smart and safe city expertise is critical to the public safety and protection of over 400 million people in more than 100 cities across 30 countries. Huawei will demonstrate its leadership in safety prevention and response across four key areas, which include social security and unrest, accident disaster, public health and natural disaster. Huawei is set to host its Global Safe City Summit in the UAE later this month, with participation by over 400 public safety and law enforcement agencies, telecom providers and ICT experts. The two-day event will serve as a platform for insights and best practices on safe city solutions that are empowering governments around the world.